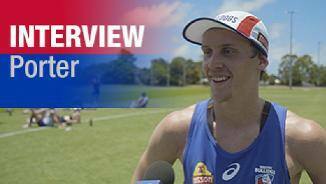 Callum Porter says he’s settled in and enjoying the challenge of his first AFL pre-season. 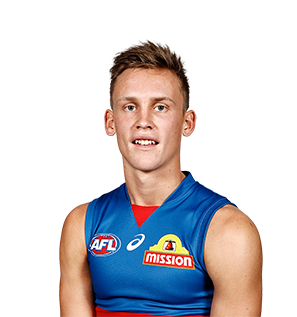 The Western Bulldogs have selected Gippsland Power midfielder Callum Porter with its third selection (pick 74) in the 2017 NAB AFL Draft. The 18-year-old is a versatile midfielder with an ability to also play as a half-back or forward, and is renowned for his leadership skills. Porter took out Gippsland’s best and fairest and finished seventh in the 2017 Morrish Medal, which recognises the best players in the TAC Cup competition. He was of the Power’s vice-captains for the 2017 season and impressed in testing at the Victorian combine.